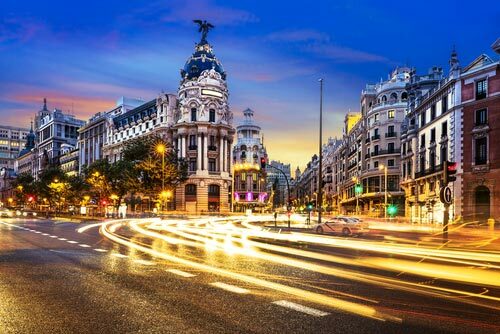 Madrid is a big city and three days are not enough to visit all its wonders. Unfortunately, most of the tourist visiting the capital of Spain don’t have more time. So, let’s take what we have and get the best out of Madrid from the beginning to the end. There is not a better beginning than having churros with chocolate for breakfast? Take the metro Madrid to downtown and enjoy breakfast in Chocolatería San Ginés. The first day is devoted to know the city essentials. 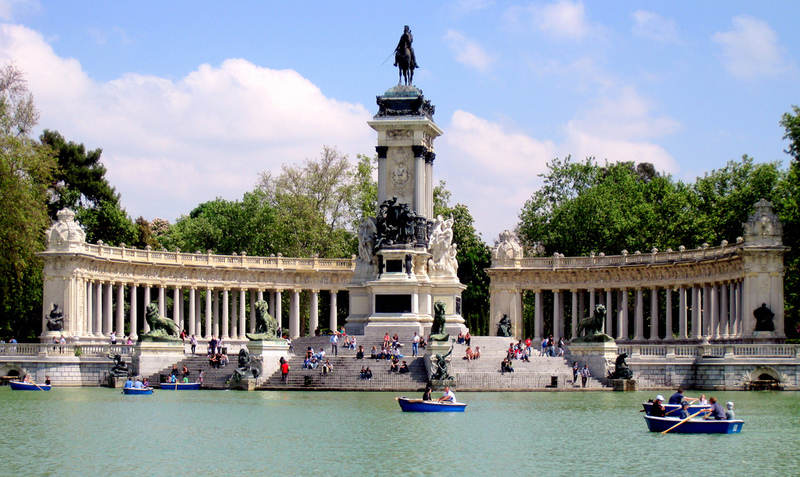 If you are tire and want to be taken to the best historical places in Madrid, book our Madrid Esential walking tour. If not start from Plaza Mayor and get around the city center, walking though Puerta del Sol, Calle Alcalá, Plaza de la Villa y Plaza de Oriente. 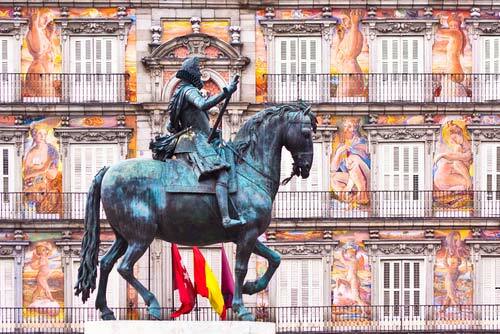 Then you will be touring around the neighborhood known as Madrid de los Austrias. Visit the Palacio de Oriente, the Almudena Cathedral and the Jardín del Moro. It’s time for lunch! Let’s have a Madrid typical meal in La Bola, one of the most emblematic restaurants in Madrid. This traditional restaurant dates from 1870 and prepares the best “cocido madrileño” in the city. La Bola is located in a La Bola street only 7 minutes walking away from the Royal Palace. Before calling the day go to Museo del Prado. There won’t be enough time to visit it completely, but take at least a glance over the most popular painting, like Velazquez’s “Las Meninas” and Goya’s “La Maja vestida”. To speed your entrance in Museo del Prado buy the tickets in advance or hire a tour to Museo del Prado. You probably are too tired to have a copious diner. Get in Plaza Mayor and have some tapas. The second day stars with a visit to the Centro de Arte Reina Sofía, but first you have to get here using the metro. Take it to Atocha Station and enjoy its amazing tropical indoors garden. You can have breakfast in the station food court. By 1:00 p.m. you will probably be starving! Get out of the museum and guide your steps to San Anton Market. This antique market has been transformed into a gourmet space. The old stalls now are incredible tapas restaurants. In the afternoon visit the Buen Retiro Park, the San Jerónimo del Real church, the famous Puerta de Alacalá and the Cibeles Square. Continue your adventure watching the sunset over the Debod Temple, a genuine Egyptian temple in Madrid. At night continue the tapas trial booking a tapas tour in Madrid or a tapas cooking class. Let’s start the last day with a long visit to the greatest private art collection in Spain, the Thyssen-Bornemisza Museum. After admiring its impressive collection get out the museum pay your respects to Neptune fountain and walk by Carrera de San Jerónimo to Casa Labra. This is one of the oldest restaurant in Madrid, frequently visited by local celebrities. After lunch, take a walk by Gran Vía the local Broadway to Paseo de Recoletos and from there to Plaza Colón. The last afternoon in the city you should expended in your favorite attraction. If you want to go shopping just cross Colon Square a get to Serrano Street the trendiest shopping area in Madrid. If you are an architecture lover, just take bus number 5, 14, 27, 45, 150 and enjoy Paseo de la Castellana. If you are a football / soccer fan, visit Real Madrid Museum and Stadium or Atletico de Madrid Museum and Stadium. If you are more interested in the Spanish culture visited Las Ventas Bullring. To end the day try a Wine tasting tour or a Flamenco Dinner show.